IED Training Solutions and National Express have joined forces to create the industry’s first IOSH-approved safety management training course for the bus and coach industry. The bespoke two-day ‘Managing Workplace and Transport Health and Safety’ course was introduced by IED following a request from National Express to develop something appropriate for senior managers, supervisors, inspectors and SSOs, addressing key issues such as safety, security and employee health and wellbeing. The new course took only eight months to receive IOSH approval and certification, making it one of the fastest courses to receive it. IED will hold the licence for the course, the first two of which were successfully delivered in June. Following the positive feedback, National Express has booked another 12 courses over the coming months until early 2019. The course comprises five modules: the legal environment, risk management, common hazards in the transport industry, health and safety and bus and coach safety control systems. Delegates will receive IOSH certification on successful completion of all five modules. The two companies started working together in 2017, when IED Training delivered a range of courses to National Express’ subsidiary – Xplore Dundee. After that, IED was asked to provide trauma and stress management consultancy to employees who needed additional support. 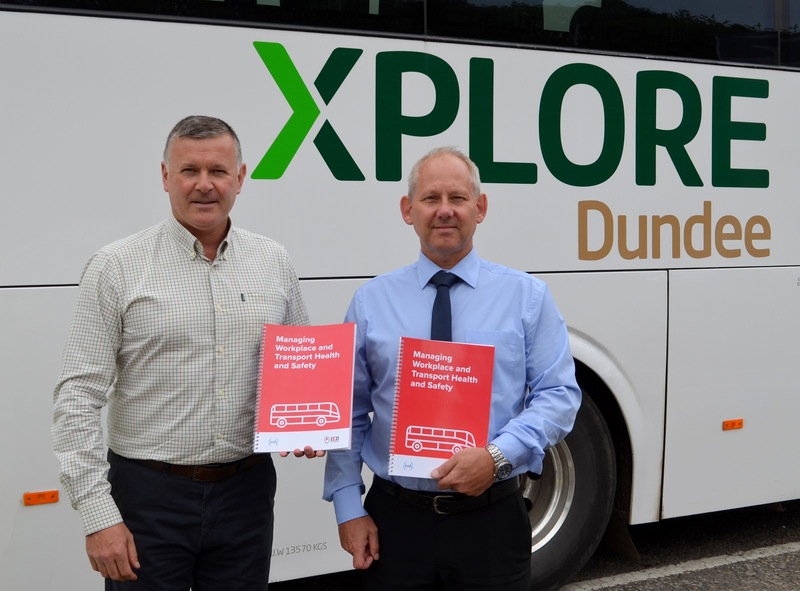 “It has been a pleasure working with both National Express and Xplore Dundee over the past 18 months, and we are very much looking forward to continuing and growing that relationship in years to come,” said Ian Clark, IED Managing Director. “Our professional partnership has been very much built on our continued ability to deliver the very highest of standards, and to be adaptable to the ever-changing challenges in the bus and coach industry. We are very proud of our new Managing Workplace and Transport Health and Safety course, which in due course we will be offering to other transport providers,” he concluded.